CAPE TOWN , Nov 16 2011 (IPS) - South African health experts are calling on governments to use legally available mechanisms to promote the production or import of generic drugs in their countries. Pharmaceutical patents continue to drive up drug prices, making it expensive to treat patients. This often leads to limited access to health care, especially in developing countries where the disease burden is high, but public health budgets remain low, experts said. Governments can revert to the Doha Declaration – a declaration on the Agreement on Trade-related Aspects of Intellectual Property Rights (TRIPS) and Public Health, which was signed 10 years ago by member countries of the World Trade Organisation in Doha, Qatar – which exits to ensure that patents do not undermine the ability of countries to achieve the right to health. “Countries, like South Africa, may interpret TRIPS as they see fit. They can enact national legislation to allow fewer patents and promote generic production of drugs to promote access to medicine for all,” explained Médecins Sans Frontières (MSF) South Africa access and innovation officer Mara Kardas-Nelson. But when the TRIPS agreement was signed in 1995, pharmaceuticals were allowed to apply for 20-year patents for their drugs, which meant that during that period, no generic versions of those medicines could be produced. This drastically reduced the global availability of generics. Only six years later, when the Doha Declaration was signed, were governments allowed to circumvent the strict patenting regulations in the interest of protecting their citizens access to health care. Surprisingly, very few developing countries, including South Africa, have amended their Patent Acts to make use of the possibilities the Doha Declaration provided – mainly due to international pressure from the pharmaceutical industry, the United States and European Union, where many of the world’s patented drugs are manufactured, health experts argue. “Countries must not bow to this pressure,” warned Treatment Action Campaign (TAC) senior researcher Catherine Tomlinson. South Africa currently provided patent protection beyond what is required by the TRIPS agreement, she said. “Unlike South Africa, India, Brazil and Thailand have used flexibilities allowed under TRIPS to curb excessive patenting of pharmaceuticals and promote public health. While South Africa granted 2,442 pharmaceutical patents in 2008 alone, Brazil only granted 278 pharmaceutical patents between 2003 and 2008,” Tomlinson explained. 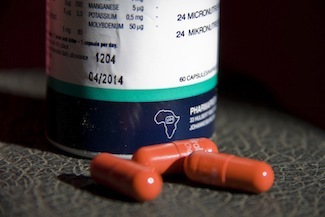 Publicly, the South Africa government repeatedly confirmed the need for generics. In a joint declaration with India and Brazil, South African President Jacob Zuma officially acknowledged earlier this year that the impact of intellectual property on health, access to drugs and prices can best be tackled by scaling up production of generic medicines. But up until now, such declarations have remained lip service. TAC and MSF also demand stricter and independent review of patent applications, as well as for third parties to be able to oppose patents pending approval and the first year after they have been granted. Moreover, South Africa should make use of its right to issue compulsory licenses under the Doha Declaration that would allow it to access generic versions of otherwise patented medicines in cases where prices are prohibitively expensive, the organisations say. In contrast to other developing nations, such as Thailand, South Africa has not once made use of this option. The consequences of South Africa’s strict patent protection are high medicine costs and the delayed availability of affordable generic medicines. South African pharmaceutical benefit management company Mediscor reported in its 2010 medicines review that drug expenditure increased by 25.2 percent between 2008 and 2010, while medicine use only increased 5.8 percent. For patients receiving chronic, life-saving medication, such as ARVs, availability of generic medication can mean the difference between life and death. Nokwanda Pani, an HIV-positive woman who lives in South Africa’s third-largest township, Khayelitsha, near Cape Town, has been receiving ARV treatment since 2005. Four years later, when she developed resistance to the drugs, she was put onto a second line of medication. She now worries about what will happen to her if her body stops responding to the medication again. Because, in South Africa, third-line treatment is only available in the private health care sector, at a high cost of 4,200 dollars per patient per year – an amount that Pani cannot afford. Without generic competition, the cost of second- and third-line ARVs can be up to 20 times more expensive than first-line ARVs, confirmed MSF. Such price differences do not only apply to HIV treatment but to all drugs, including those needed to treat cancer, tuberculosis, diabetes or high-blood pressure.